An original paint survivor or a perfect repainted car? I have a 73 2.0L with 100% original paint. The original silver clear coat failed long ago on all horizontal surfaces. The vertical surfaces still have the original clear coat. Because of the failure, I know with absolute certainty that this car has never been hit, never been rusted, repaired or repainted on any panel. The front and rear trunks along with the rockers and interior are all original and near perfect. Cars are only original once. They can be repainted and/or restored anytime... and while I would love the paint to be perfect, there is a certain appeal to having an original paint, unmolested, unrestored survivor... especially a 73 2.0L. An original paint unrestored survivor or a perfect repainted car... and why? But it's up to you. What's going to make you happy when you open your garage door and see your car? 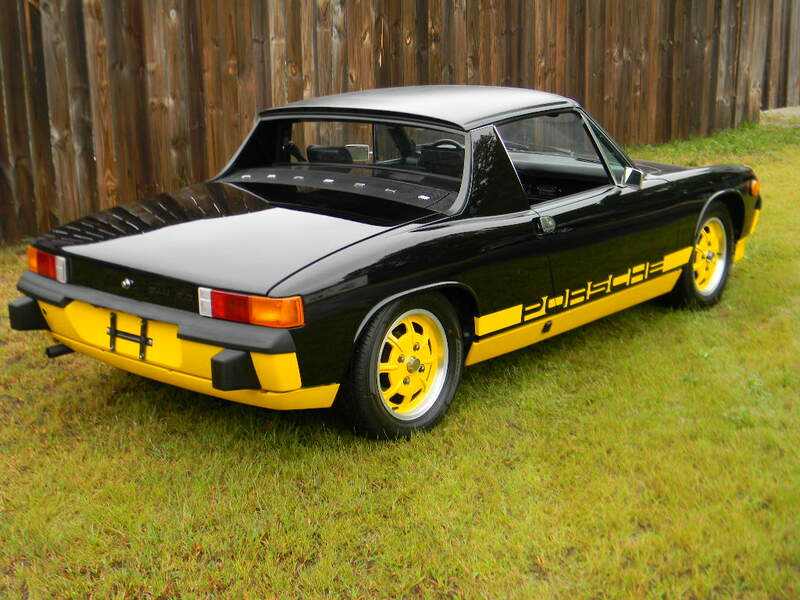 "If there is a mistake it will find me"
Don’t remember any 914 factory paint as being “2 stage” ie: color and clear coat. There were several different “special” colors like silver metallic LKL 96 D from 1972 model year. As for condition it’s what you prefer, highest value will also be best condition lowest miles and provenance can play a part. The real value, I believe, is the driving experience. 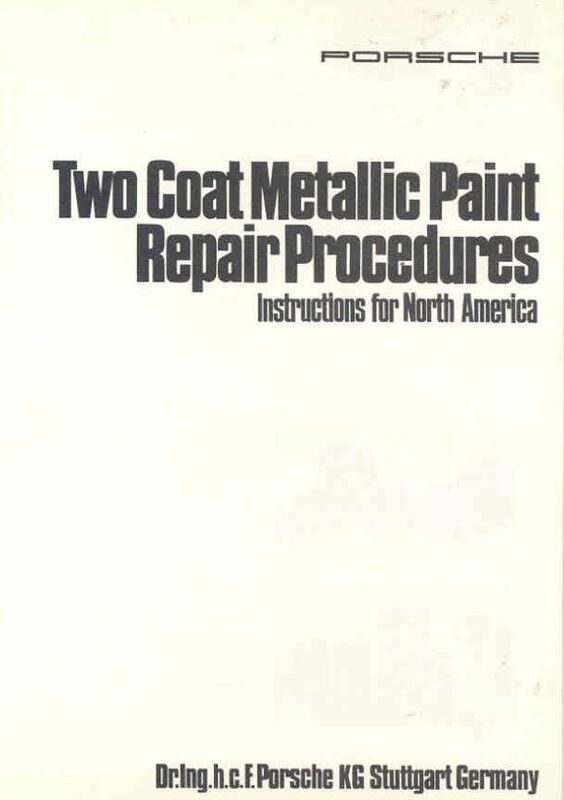 Yes, the metallics were clear coated even back in the 70s. 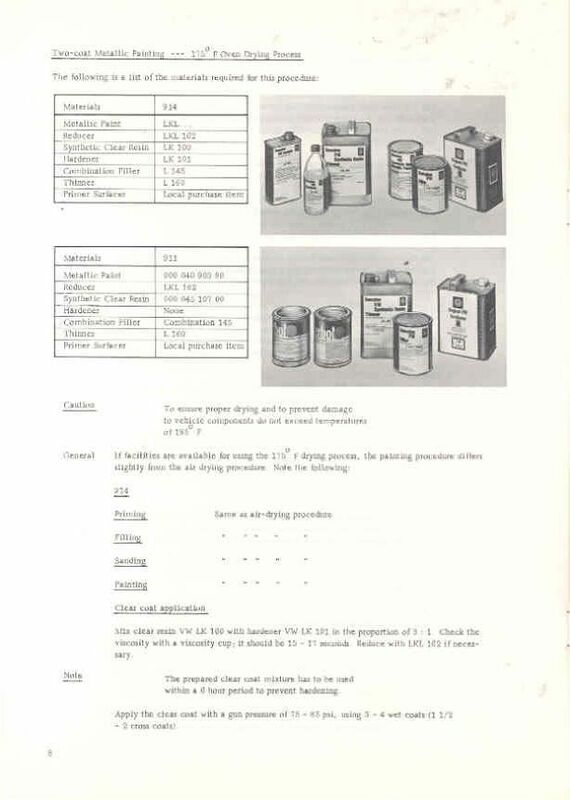 They even came with a sticker indicating such and there is a factory service bulletin describing how to repair the 2-stage metallic paints. As to the original question:. Original paint would be my preference but yours has probably crossed the line for my personal preference. Keep the original unless you want complete restoration. 1. The Bumper, rubber, seal, interior, they will look old and fade after new paint. 2. Are you going to keep the car at home all the time. You will be worry every time when you driving it or when it parked. If you have limited budget spent it on the mechanic. This is a 74 Limited Edition that I restored from a bare metal respray (sold in 2010). It even had the original limited edition spoiler with the factory part number on the back. My silver car gets as many if not more positive comments as I received on the LE. 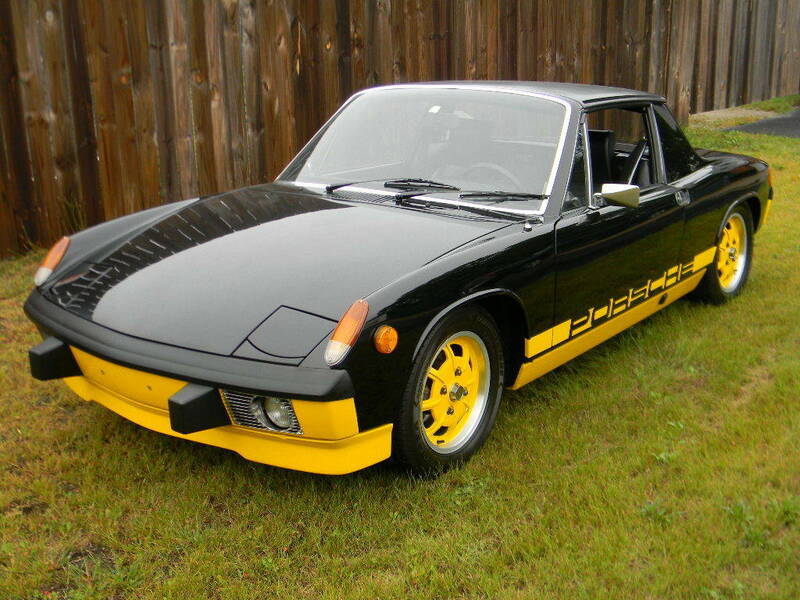 I think the Porsche purists on the street and at shows see it for what it is... a survivor. The silver car was stored for 21 years (1993 to 2014)... a true barn find. I sold the LE because it was just too perfect... it was nice to show but worrying about dings and rock chips took all the joy out of driving it. One of the benefits of having a survivor status car is I don't have to worry about driving it or parking it... I can park it anywhere. It would be nice to have nice paint... but there is a cost for that both in $$$ and driving enjoyment. Wash then use wax and grease remover, mask, light scrubbing with 800g scotch bright pad and clear it. You might still see it a bit, but it should blend in. There is a possibility that a really good resto/paint shop could carefully remove the failed clear coat & respray it clear coat only, but the cost would probably be as much as a full-on repaint, results may or may not look good enough to be worthwhile, etc. 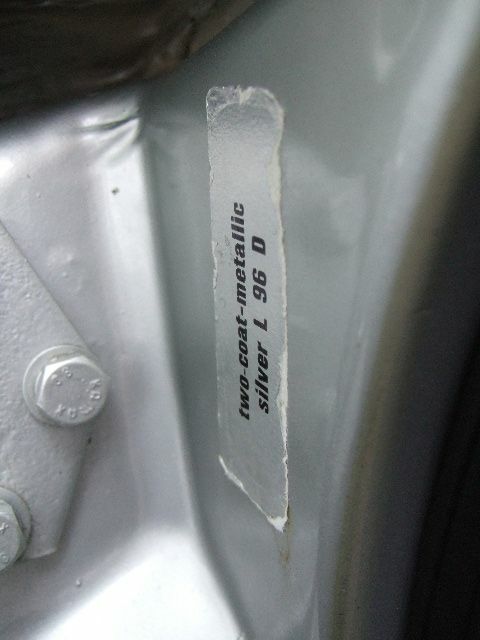 Yes, the metallics were 2 stage color-clear even back then, & there was a Porsche repaint SB for it, as noted above. In fact my 73 2L has had 3 - yes THREE - resprays in metallics - 1st was pre-75 from the original dealer trying to get the car sold from the factory L80E & then Sahara Beige (both single stage non-metallic & then the 72 MY Gold, then I did 75-76 MYs Copper Metallic in 1976, then the 76 MY 930's Anthracite Gray Metallic in 1980. All were done by a Porsche-Audi dealer or Indy Paint Shop per the Porsche specs/TSB. So this one being with failing clear coat may or may not be the actual factory paint in part or overall, just because it's peeling off the topside surfaces. And any early respray would've aged by now 44-50+/- years later, just as would the factory paint (sooner if not done properly). It too could've had accident repairs, so you'll have to dig deeper that that to verify if there's been any repairs/repainting (spot or whole). 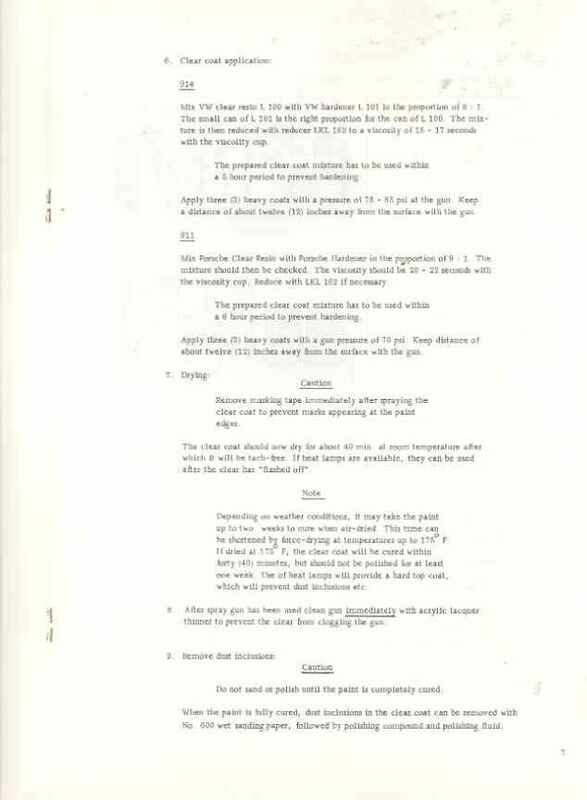 You should also check all documentation & records for the car, & look at all backside surfaces for evidnece of bodywork (hammer & dolly work, etc.). Then also do the ole magnet wrapped in a thin cloth & rubbed over every inch of the body to find any bondo when the magnet looses magnetism (those shiny eyeglass cleaning cloths works well). Use a relatively weak fridge magnet too, so it will drop off on even thin coats of bondo. 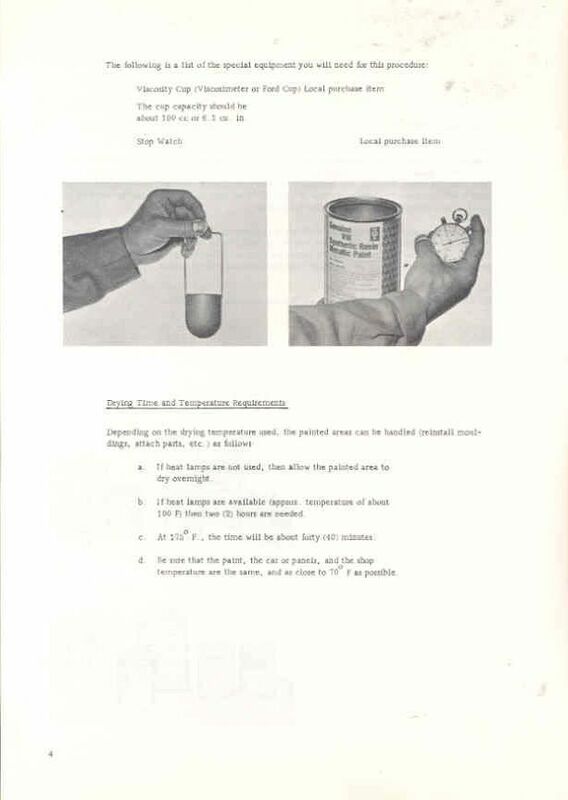 Yes Virginia, they had clear coat paints back in the Dinosaur ages of the 1960s & 1970s, as well as early polyurethane paints - the latter I know because my Dad got the patents for Koppers for both urethane varnishes & paints in the early 1960s (before we moved to San Diego in 1963). So you may even see some 1960's classics shot in urethane. You have said it all especially in line #4....leave it alone and drive it! I like original paint cars but this one looks a little rough. 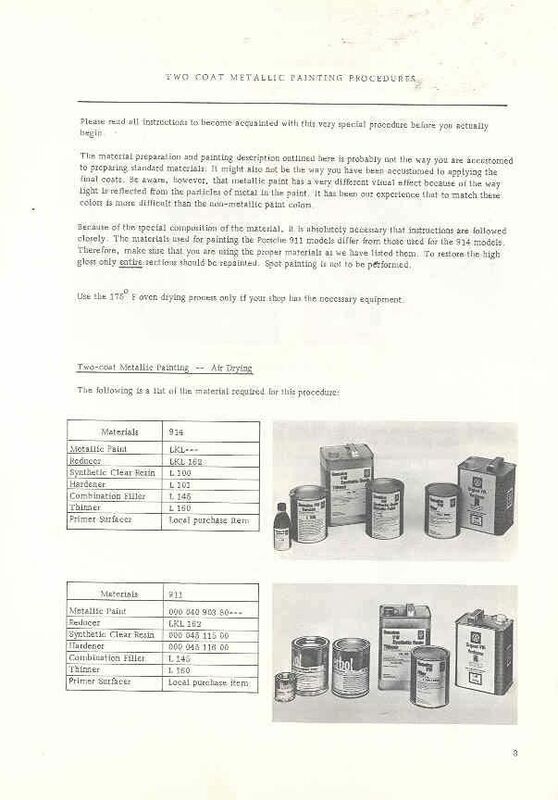 Clear coat failures were common back in the day and some cars were repainted by the dealers. My '74 2.0L is the same silver metallic L96D color as yours and the exterior was repainted early on in its life due to a failing clear coat. 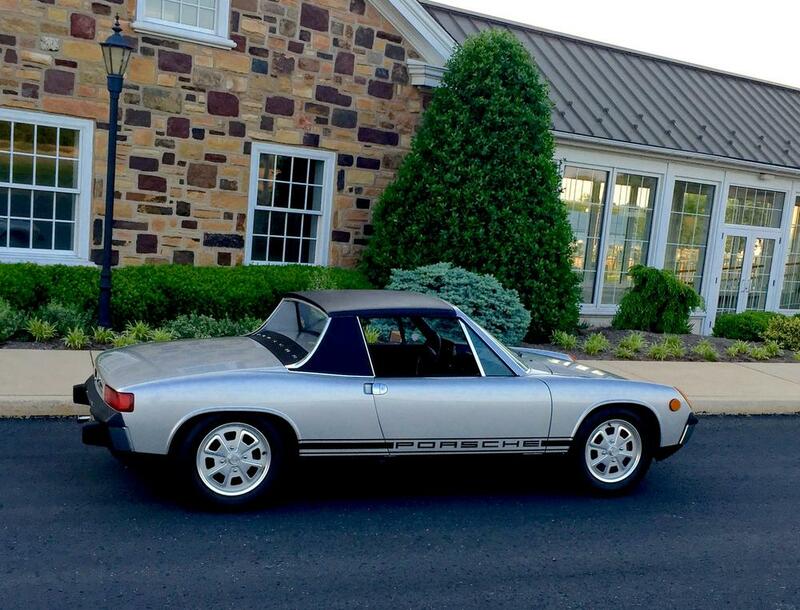 This 914 has never been repainted. It is 100% original paint. The camera lens and angle of the sun in the first picture make it seem much more apparent than it is in real life... The second picture shows it more like it really is. It can be painted anytime, but is only original paint once. I'm keeping it with original paint but was wondering what others would do. I'd do a really good deep clean and wax over it plus a car cover if it's outside alot. There is a ton of value in original paint. Please forgive me, I'm new to all of this!